whit10 wrote: I was just hoping to move the tornado looking MFer that is blocking the turbo lift. Before we calculate success.... the tornado looking MFer is one of Matt's summoned monsters. He is not an enemy and is only blocking the other Eldrazi guards, not the party. 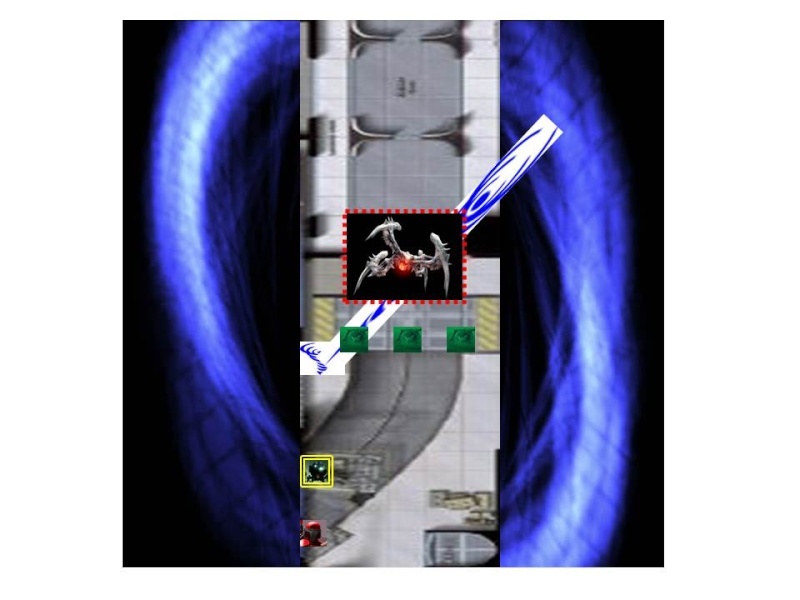 The "south" Bralani rushes forward and gets as close he can to the turbolift entrance without getting into melee range of an Elrazi. He then uses a standard action to take "wind form". Bralani (south) assumes wind form and perfectly flies over the top of the Eldrazi Guards to take up a position near the turbolifts. Do you still want to move him? I assume you mean the green Eldrazi Guard to the Tornado's 7 o'clock? He fails his Reflex save and his moved 15ft, which provokes AoOs from the Bralani (north), Bralani (wind form) and Eidolon! Studied target +3/+3 (up to 3 separate targets at once). Use mythic pow for distant barrage @ weaver if it hasn't dropped. Move on to guard otherwise. "Dockmaster, hostiles coming at you." 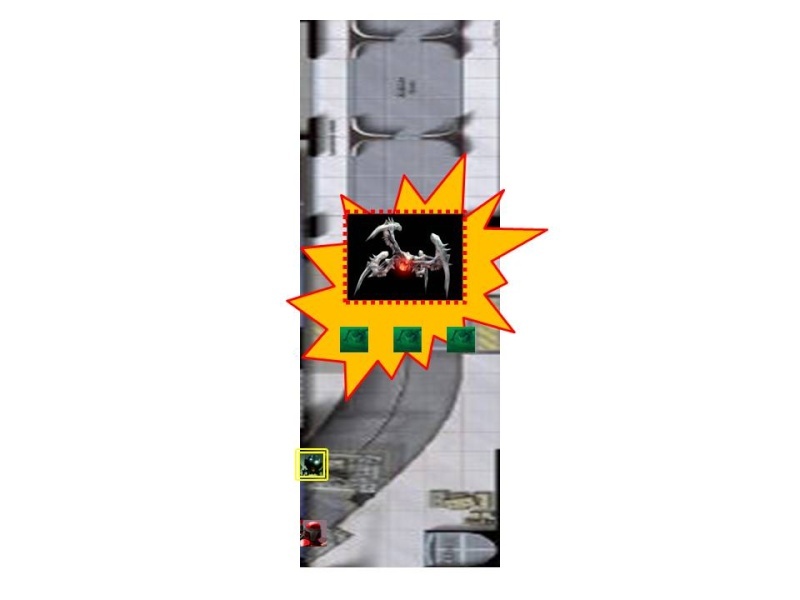 is this the Pinpoint target (feat) you are referring to? I see it on Tarro's character sheet, it comes through the Ranger Combat feats via Slayer talents (so you don't have to meet the pre-reqs), right? As I read the 2 feats: Improved Vital Strike and Pinpoint Target, both take a standard action to perform, so I don't think they can be combined. Benefit: As a standard action, make a single ranged attack. Benefit: When you use the attack action, you can make one attack at your highest base attack bonus that deals additional damage. The "attack action" is also a standard action. So you can't do 2 standard actions at the same time, as far as I can tell. You have to use the "attack action" (standard) for IVS and PPT costs a separate standard action. In general, I think the intention of each feat is to forgo all other attacks and make 1 single attack (either for more damage or for greater accuracy). I would argue that "single attack" and "standard action" are different terms and therefore are not mutually exclusive of one another. I can't use vital strike during a full attack, but I am using my standard action to make a pinpoint target attack which IS an attack action. When I use that attack action i can apply vital strike to a single attack. It doesn't say "per round" or AS an attack action. It says when I USE the attack action. There ARE cases where two feats both use a standard action. This is not one of them. I thought I was being pretty conservative with this: My distant barrage is also an attack action (a separate one); I probably should be able to use vital strike there as well. I SHOULD probably, based on how this is worded, be able to apply vital strike to my first attack in a full attack, which is using the attack action, as only a "single attack" will apply the bonus. If you think it is O.P., just compare it to the gunslinger stuff you used against us. DANG DUDE! I agree that "single attack" and "standard action" are different terms. Standard action is the broader term, of which "making an attack" is one option. You are correct that VS doesn't say per round. I actually agree with you, on your second point. I think you CAN use Vital Strike with Distant Barrage. Distant Barrage (Ex): As a swift action, you can expend one use of mythic power to make a ranged attack at your highest attack bonus. VS can be applied to DB, however, Pinpoint Target cannot. PPT requires its own Standard Action (cost) which DB does not. DB grants 1 attack, not 1 standard action. You can't cast a spell or drink a potion (broader standard action), you can only attack b\c that is what is granted. What can be applied to an AoO? You can attempt to sunder an item held or worn by your opponent as part of an attack action in place of a melee attack. You can attempt to trip your opponent in place of a melee attack. You can attempt to disarm your opponent in place of a melee attack. You could Trip, Sunder or Disarm, but you could not Feint - because a Feint is a standard action in and of itself (like PPT). The others can be applied to or replace a melee attack. I see VS more like Trip\Sunder\Disarm since it says "when you use the attack action" it implies that you can add VS to a single attack. I hadn't thought of this..... but I think you can apply VS to an AoO as well, since it gives you 1 single melee attack. However, you couldn't make a PPT b\c that costs a standard action, which you wouldn't have since it specifically gives 1 melee attack action. Likewise you couldn't cast a spell or drink a potion, only attack. in that light....... anything you can apply\substitute to 1 attack (trip, sunder, VS) could be applied to the attack (result) of using a standard action to power PPT or to an AoO. PPT (cost standard) could NOT be used for an AoO or DB, however, since they only grant the lesser (subset) attack, not a full standard. I have a summary judgement hearing march 8. If I win, I get a trial. I don't think Vital Strike can be used on an AoO. Combat Maneuvers can but I think Vital strike requires it to be your turn. What trial are you referring to? whit10 wrote: I don't think Vital Strike can be used on an AoO. Combat Maneuvers can but I think Vital strike requires it to be your turn. It doesn't say anything about it having to be your turn. but it says "when you use the attack action" I don't know if that covers AoO or not. Maybe the forums have the answer? navyik wrote: I could dial you back by questioning whether an AoO is an attack ACTION, or just a free attack. Chris wrote: As I read the 2 feats: Improved Vital Strike and Pinpoint Target, both take a standard action to perform, so I don't think they can be combined. There is no actual definition or proper term called "Attack action" in PF. I think part of the problem here is that PF (like most games) just uses terms loosely. Those are the "actions" and attack isn't one of them. Like I initially argued, I think the intention is that Vital Strike uses a 'standard action' (which is what they mean when they say 'attack action'). The intention is that it replaces the attack you make with a standard action. I agree that there is a difference between being granted "1 attack" and being granted "1 standard action". whit10 wrote: but it says "when you use the attack action" I don't know if that covers AoO or not. I think the intention is that "attack action" means that you used a standard action to make an attack. I don't think my concession on AoO's validates your extremely strict limitation of combined usage of the 2 feats. If we want to argue "the spirit of the law," over the letter of the law, then I propose that the intention of the wording od VS was not to regulate combined usage with other feats, but ONLY to prohibit itterative attacks for massive damage. If they wanted to prohibit combinations, they WOULD have made VS a standard action. navyik wrote: I don't think my concession on AoO's validates your extremely strict limitation of combined usage of the 2 feats. If we want to argue "the spirit of the law," over the letter of the law, then I propose that the intention of the wording od VS was not to regulate combined usage with other feats, but ONLY to prohibit itterative attacks for massive damage. If they wanted to prohibit combinations, they WOULD have made VS a standard action. I concede that given the ambiguous wording, we may never come to an agreement on "letter of the law". I think the spirit of both VS and PPT is the same - you can use this 1 ability in place of any and all regular attacks, as a standard action (attack action wording) replacement ability. I think the spirit of Trip\Sunder\Disarm is that it can replace any single attack ie - if you have 3 iterative attacks, you could trip, then sunder, then disarm or trip, attack, attack. In this vein, these can be used for an AoO. 9 people marked this as FAQ candidate. 3 people marked this as a favorite. As of the current rules, you cannot use Vital Strike as part of a charge. Vital Strike is an attack action, which is a type of standard action. Charge is a special full-round action (excluding partial charge). You cannot currently combine the two. The preview was in error. Alas I did not catch it until weeks later, and by then, there was no point in digging up old topics. Ok, since "attack action" is a standard action and so is PPT, they can't be used at the same time. Does Tarro want to reconsider any part of his actions since he can't combine VS and PPT? Bralani have acid resistance 5, so the first takes 1 dmg and that is it. Vital strike @ weaver w/ pinpoint targeting by using hero point. Tarro's 2nd shot is also a hit, but just barely fails to be a crit. It does bypass all DR, so that helps. BIPED: Size Large; Speed 30 ft./ Fly 30 ft. ; AC +2 natural armor; Saves Fort (good), Ref (bad), Will (good); Attack 2 claws (1d4); Ability Scores Str 34, Dex 10, Con 10*, Int 7, Wis 10, Cha 11; Free Evolutions claws, limbs (arms), limbs (legs). +4 morale bonus on Will saves against enchantment spells and effects. The creature's secondary attacks with natural weapons take only a –2 penalty. The Eidilon launches its full compliment of attacks against the Elrazi L/24. Prior to the attack, it takes a 5 foot step to N/24 in order to clear LOS/LOA between Windform Bralanli and Elrazi L/24. Bralani 1 and 2 will use a standard action to take windform. B3 (already in windform) channels a scouring "whirlwind blast" of razor sharp nano-bots at Elrazi L/24. 20-foot line (Reflex DC 17 half). The save DC is Constitution-based. 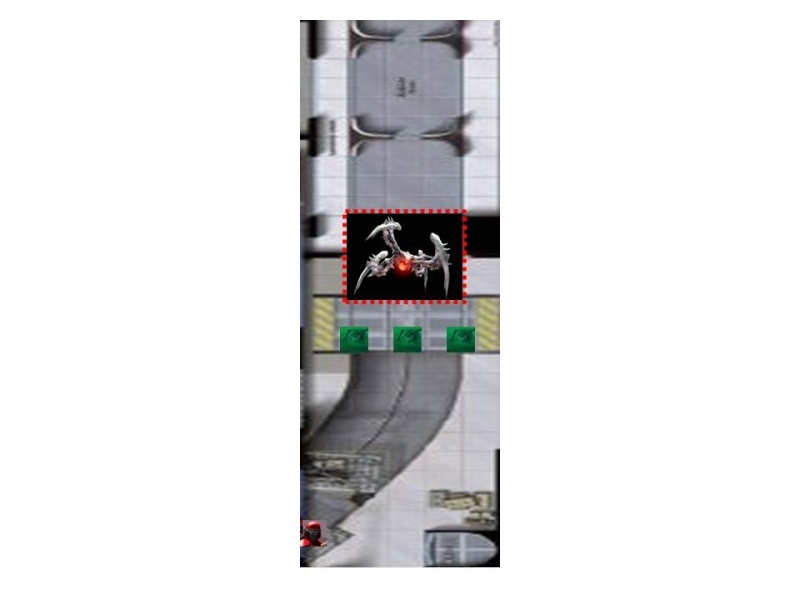 SDX uses whatever movement is needed (fly 40) to get inside the turbo lift, but up against a wall. He then activates a swarm of exponential fusion multiplication nanos and launches towards the belly of the Elrazi weaver...positioned so that the 20ft radius catches all 4 of the enemy creatures. Eidolon systematically tears apart the Eldrazi M at L-24, each claw and slam doing only minimal damage, but its determination programming over comes the limitations of its claws. Bralani (windform) has no target - new action? Other 2 Bralani assume wind form, no AoO since it is a (Su). To be clear, what you are asking for is a roll vs Spell Resistance, correct? Because in Pathfinder "spell penetration" is a feat that effects Spell Resistance rolls, and there isnt a "spell penetration" mechanic. Just ensuring that I am understanding which mechanic you are asking for. Ok, so it looks like all attacks dont land at once or windform wouldnt be left without a target, which serves my purpose. Windform with no target will pause until just after the fireball detonation, and then fly into the turbo lift and position himself just in front of the far left Elrazi guard so that his 20 foot line attack strikes the both the guard and the weaver. MAS wrote: To be clear, what you are asking for is a roll vs Spell Resistance, correct? Because in Pathfinder "spell penetration" is a feat that effects Spell Resistance rolls, and there isnt a "spell penetration" mechanic. Just ensuring that I am understanding which mechanic you are asking for. Correct, sorry I might have been using the old 3.x terminology. The Eldrazi Weaver is not affected by the fireball, but the 3 Eldrazi Guards get singed. SDX notes that they seem to have some resistance to fire (resist fire 10). 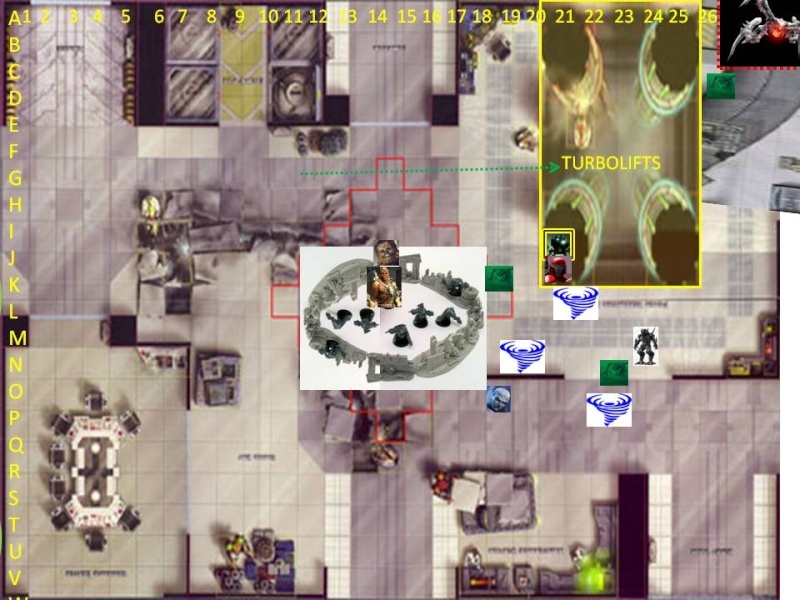 Bralani moves into the turbolift shaft and blasts 1 guard and the weaver. Weaver takes minimal damage, the guard fails his save and takes full damage. Eldrazi Weaver's body begins to glow with a nimbus of unusual light. It scampers 40ft up the turbolift, up to about the first 'platform'. +2 racial bonus on saves vs. death effects, energy drain, negative energy, and spells or spell-like abilities of the necromancy school. Half-constructs gain a +2 racial bonus on saving throws against disease, mind-affecting effects, poison, and effects that cause either exhaustion or fatigue. Construct = Immunity to all mind-affecting effects (charms, compulsions, morale effects, patterns, and phantasms). Not subject to ability damage, ability drain, fatigue, exhaustion, energy drain, or nonlethal damage. Unholy Nimbus (Su) Three times per day as a free action, the demon can create writhing colored lights on its body. One round later, the light bursts in a 60-foot radius. 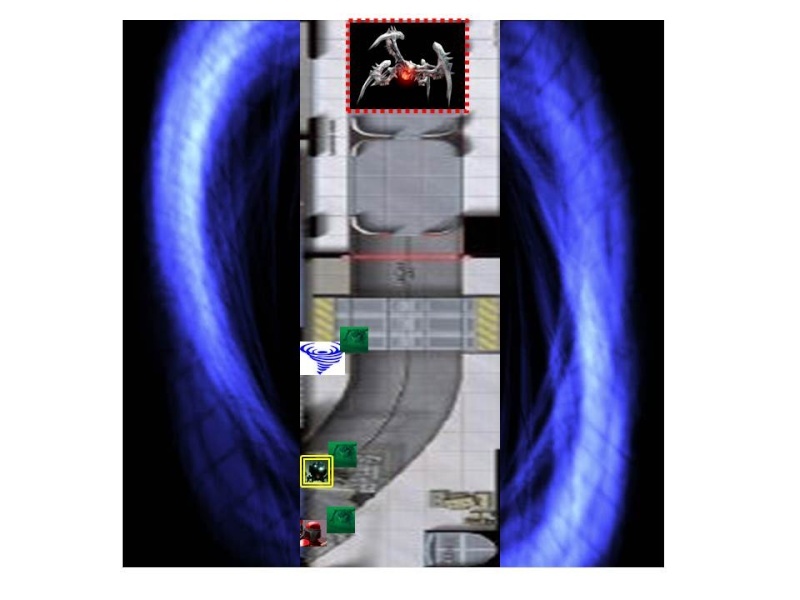 Any non-demon caught within this area must succeed at a DC 24 Will save or be dazed for 1d10 rounds as visions of madness hound it. The save DC is Charisma-based. It is a charisma based save that creates "visions of madness", meaning it is a mind-affecting effect. Bralani windform (which is a Construct) is immune, SDX who is a half-construct is not. I'm not out of tricks yet folks, but if we cant kill this thing outright, we should try to herd it into A) a teleporter/warpfield B) a power generator/engine core C) airlock so we can spacewalk the fucker. MAS wrote: Pretty clear cut, IMO. where is the turbolift itself? Is it already at the top of the shaft? whit10 wrote: where is the turbolift itself? Is it already at the top of the shaft? In my mind a turbolift does not have a wire that pulls the passenger box up\down. It runs on something akin to an electromagnetic rail of some kind. Are the controls where Shivak can get to them? whit10 wrote: Are the controls where Shivak can get to them? Just to ask first, will it hit SDX and Tarro as well if I bring it down? They are both "inside" the turbolift shaft, yes. The lift, much like an elevator in a tall office building, might take 20-30 seconds (3-5 rounds) at regular speed to reach Shivak's floor, just as a time-conversion reminder. 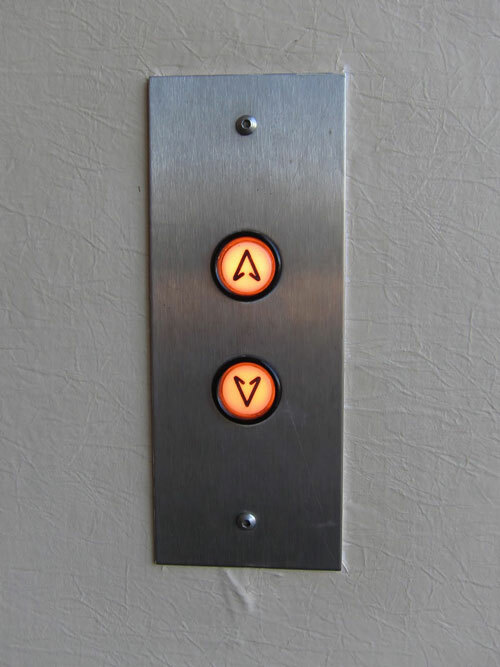 Is it Shivak's intention to lower the lift by pressing the button, per normal usage, and bring the lift down at its routine, safe, operational speed? well, ideally, he would like to push the button and then go for "ramming speed" while using Move Object. He would also then try to use Move Object to pull Tarro and SDX out. Is that just two standard actions?